Nice. You should check out the lyrics. It’s not about smoking a doob. Regardless, I will be exploring all that Colorado has to offer during my pilgrimage to the Red Rocks Amphitheatre to see Jason Isbell and the 400 Unit. Psyched! Yeah, I was hemming and hawing about the trip until I heard my mom say, “Just go. Isn’t it you who always tells me you only live once?” OK, Mom. I still have some details to work out with Billy Shatner (is he still at Priceline?) regarding wheels and a couple nights in the Mile High City. Oh, and bakeries. I want to bring some fresh baked goods when I go for a mini-reunion with some college friends in Breckenridge. While scanning the calendar it occurred to me that our reunion will commence on our mutual friend, Mike G’s 60th birthday. Sixty… Dude, you’re old. Anyway, I’m looking forward to catching up with Heide and “Krak” on high in the Rockies. We’ll celebrate our dear friend. Back to the Music. This will be my second JI show in 2017 after a trifecta the year before. 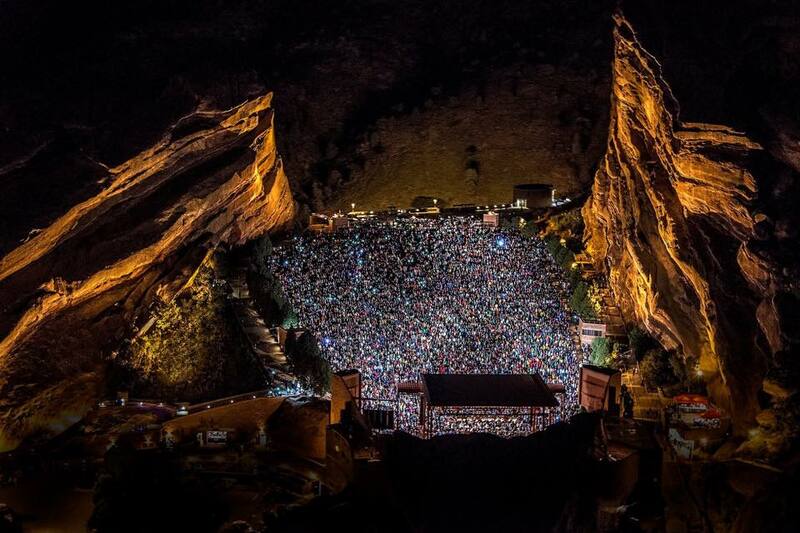 The Red Rocks thing has been on my “bucket list” for years. I didcough up the cake for “VIP” seating in the sound booth area, but hey, we only live once, right Mom? Speaking of bucket lists… Other than going into space, I’m not sure there’s anything else on mine. Actually, there are a few other experiences closer to home that would be on the list if one existed… Italy, Greece, the jungle in Peru, Barre, MA for ten days… Oh, and the Louvre. Yeah, that would be cool. Oh, the music. Yeah, I was teetering… The June show at whatever that tent place is now called on Boston Harbor was a bit underwhelming due to sky high expectations, but then last week after falling asleep to a live stream of Isbell’s “Austin City Limits” taping, I was jarred awake when YouTube then played a full February 2014 show from the House of Blues in Boston. Pal Jeff and I were there. You can be, too. Laying awake being blown away by song after song, I thought, “I have to go.” Here you go.